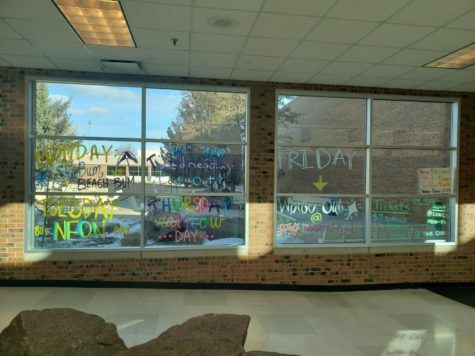 STUCO always puts all the spirit days on the windows of the court yard for all the students to see. 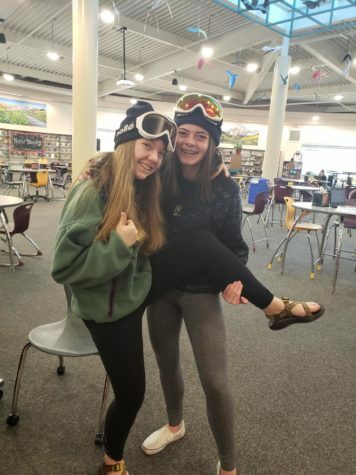 Sophomores Haley Roach and Maggie Lowndes pose in their ski gear for ski bum vs. beach bum. 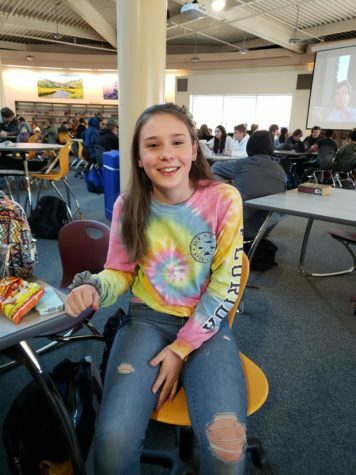 Junior Ellie Martinez supports the beach bums on Monday. 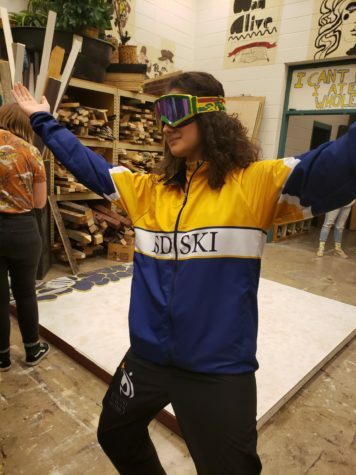 Sophomore Claudia Betten sports her PSD Ski team gear for Monday’s spirit day. 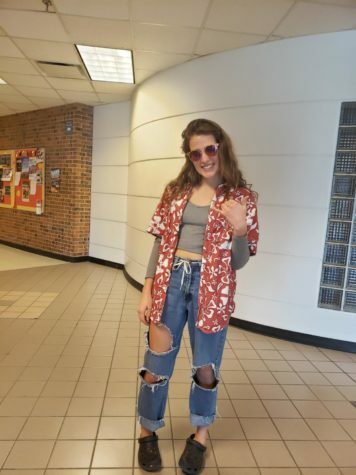 Senior Julianna Macchietto rocks her 80’s Neon. 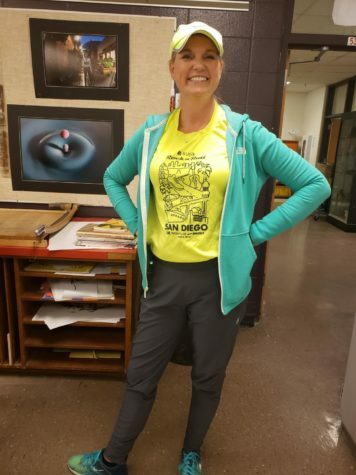 Ms. Wolf shows off her 80’s neon. 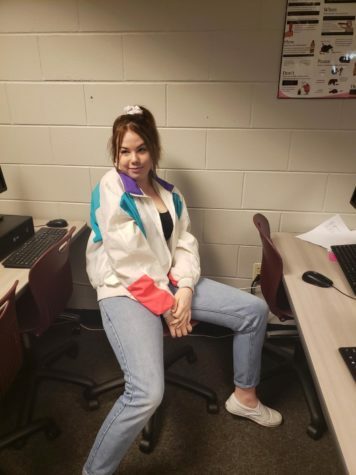 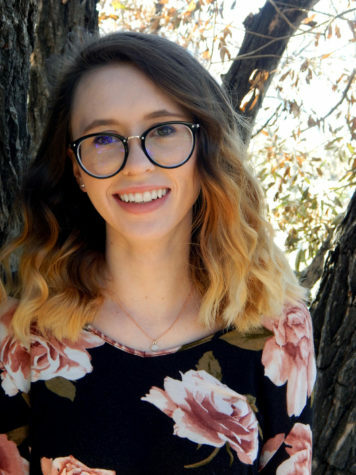 Senior Abi Loughrey wears an 80’s inspired neon jacket. 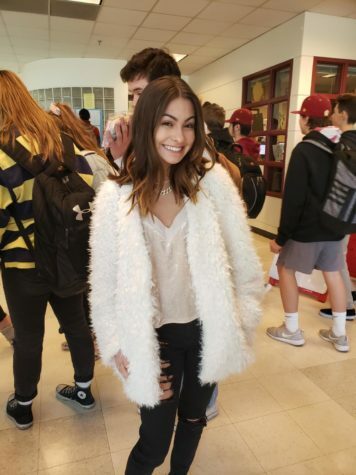 Junior Ashley Gilbertson ices out on Wednesday. 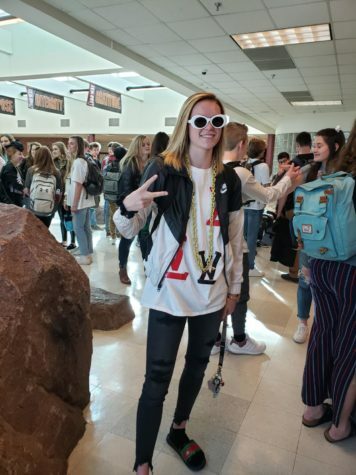 Junior McKenzie Gonzalez dresses up for Wednesday’s Iced Out spirit day. 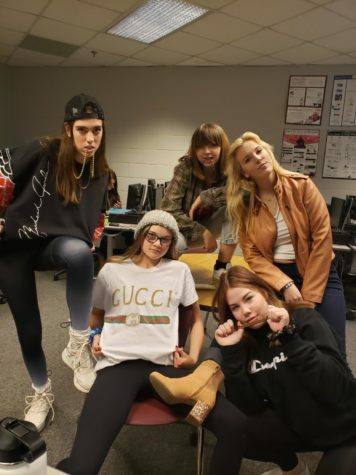 Some of the Highlighter staff ices out on Wednesday. 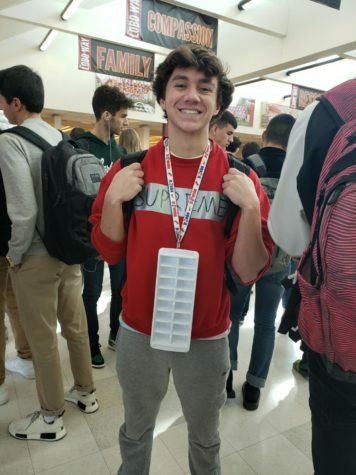 Senior Quinn McGonagle shows off his ice. 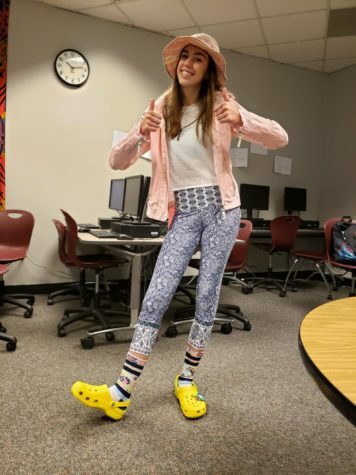 Torie Wolf shows off her rainbow fashion on Thursday. 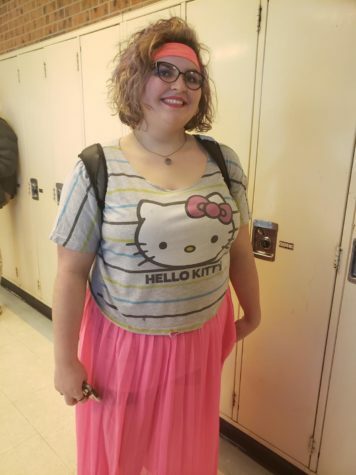 Sophomore Cots Maher shows her rainbow spirit. 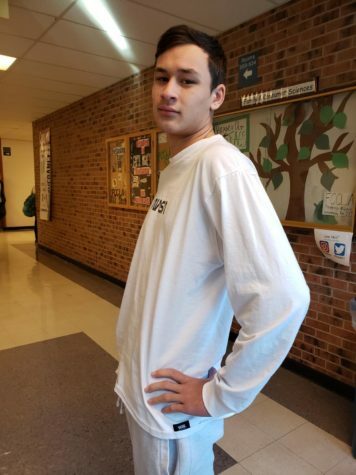 Senior Jared Seen poses in his all white outfit for Friday’s spirit day. 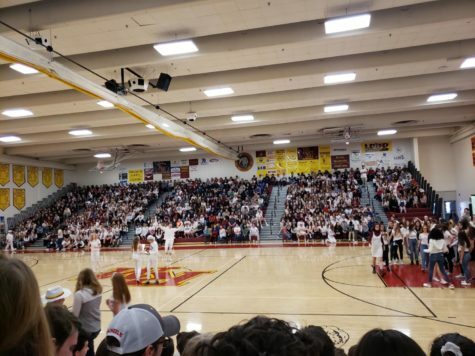 The freshman and sophomore student sections dress in white at the assembly on Friday.